It’s that time of year again – it’s football season! As we gather around friends and family alike to take part in a Sunday ritual of sports, food and more; you want to rep your team as much as possible! 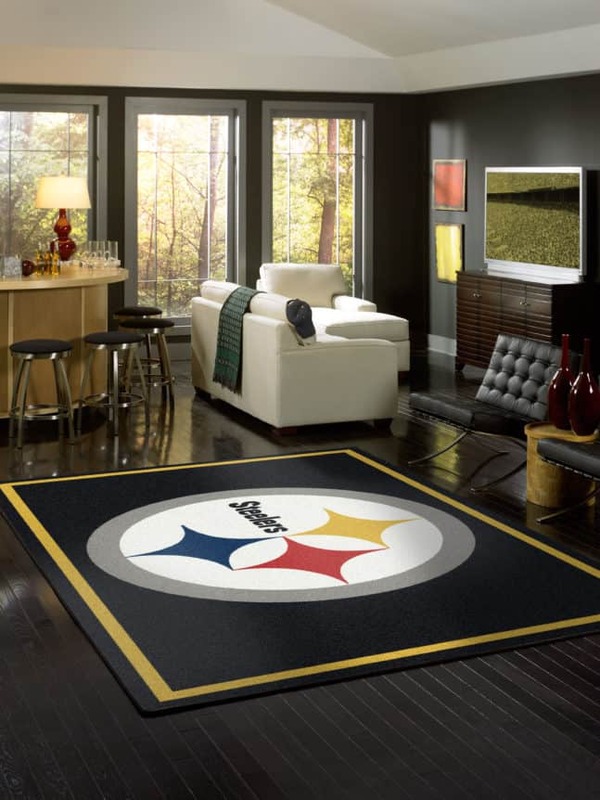 Why not consider adding an NFL Team Area Rugs with your favorite team on it to your home. 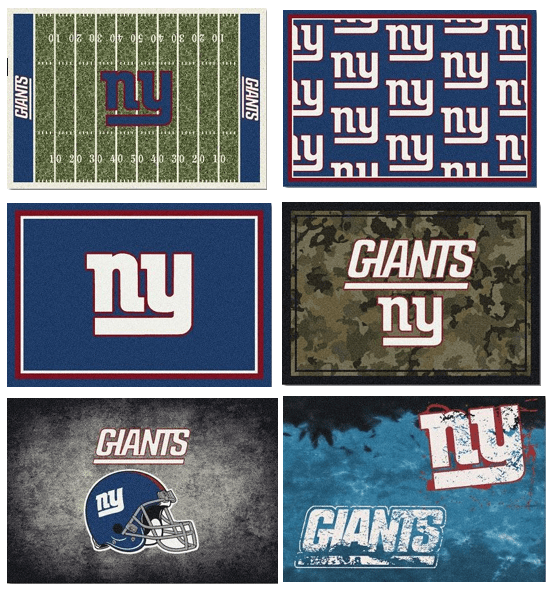 We offer rugs for every single NFL team in a variety of styles and sizes. Here’s a list of some of our favorites! The most recent super bowl winners from the NFC East and your favorite underdogs, the Philadelphia Eagles! E-A-G-L-E-S EAGLES! 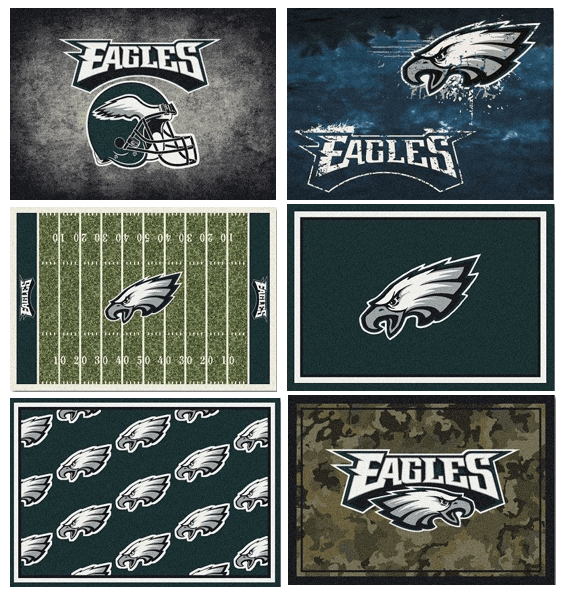 Click Eagles Area Rugs to browse our selection of Eagles rugs. The most recent and most frequent AFC North champions that do whatever it takes, the Pittsburg Steelers. Upgrade your terrible towel to a terrific piece of fan pride! 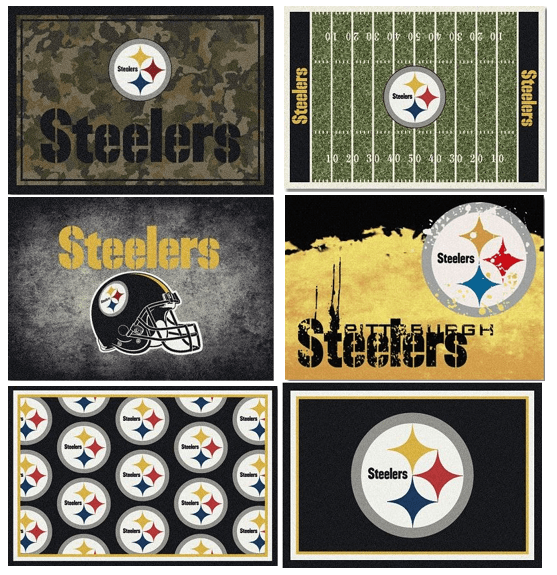 Click Steelers Rugs to browse our variety of Steelers area rugs. Also, from the AFC North we have the Baltimore Ravens! Your friends will be RAVEN about these rugs all season long! 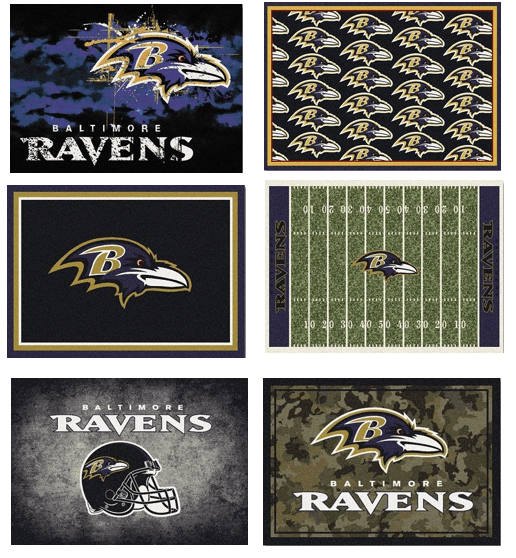 Click Ravens Area Rugs to browse our selection today. NFC East team NY Giants. Giant savings on Giants rugs! There are a variety of styles to choose from. Click Giants Team Rugs to browse the selection! The AFC East team with one of the greatest quarterbacks in the league, the New England Patriots! Show off your Patriots pride with one of our many team rugs! 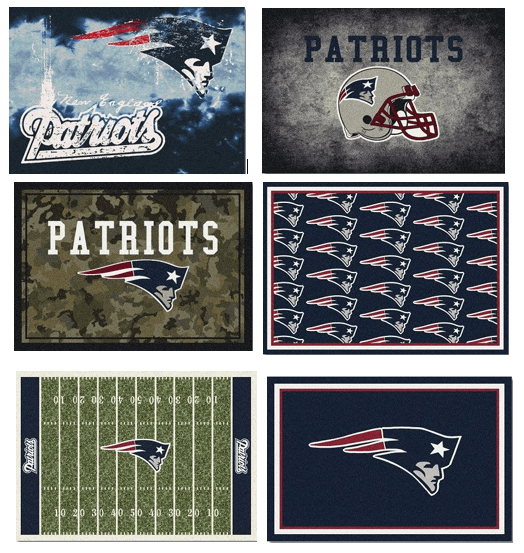 Browse the selection here, Patriots Area Rugs! Didn’t see your favorite team above? You can shop the full assortment of NFL team rugs here, or stop into your local store to check them out in person!